In response to so many requests for speakers, A.V. 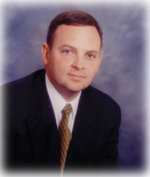 Publications, Corp. is very happy to announce that the Lord has brought Evangelist Stephen C. Shutt to fill that need. God has not left the upcoming generation without a witness to the purity, perfection, and inspiration of our precious King James Bible. Stephen has worked in-house with A.V. Publications since 2006. The PowerPoint presentation he developed to show the problems in new versions has been used around the world. Now the Lord has called him to share his knowledge and love for our Holy Bible across America. His work in helping me answer the flood of e-mail questions has prepared him well to answer the many questions the enemy has raised beginning in Genesis 3. Brother Shutt has already spoken on national platforms, such as the National Bus Conference in Lexington, KY for Dr. Jeff Fugate, editor of the Church Bus News and columnist for the Sword of the Lord. He presented three sessions on the inspiration of the KJB at the Revival Fires Conference for Dr. Mickey Carter and Cr. Dennis Corle. He taught sessions at Landmark Baptist College and will be teaching an entire course on ‘Why We Use the KJB’ at another college. The Lord has been preparing Stephen for the work of the ministry for many years. A lifetime, working in his church’s bus ministry shows his servant’s heart. He now has a radio program ‘Truth Evangelism,’ which is dedicated to glorifying the word of God and defending the King James Bible. It is heard nationwide on the internet and on radio stations operated by Faith Music Missions, Evansville, IN, Grace Baptist Church, Gaylord, MI, and the Berean Baptist Church in Winston-Salem, N.C., where Stephen has been a faithful lifetime member and a Christian radio station operator for the past several years. Stephen is a powerful preacher, a detailed teacher, and most importantly, he is totally dedicated to exalting his Saviour, the Lord Jesus Christ and his word, in all he says and does. Church members will catch his enthusiasm for our KJB and be blessed by seeing our rare and antique Bible collection, which God has preserved for his people for such a time as this. I am writing to recommend Bro. Stephen Shutt. I have known Stephen for several years and know him to be very knowledgeable on the subject of God's word and how we got the King James Bible. He has done his homework on the subject and can provide a wealth of information to you and your people. The average church member knows little of the history of the English Bible, or how God miraculously gave us his inspired, preserved word through the King James Bible. Once the average church member hears this information, a greater sense of appreciation is developed. I believe your people will be greatly benefitted by exposing them to Bro. Stephen's unique ministry. I whole heartedly recommend him to you! May God bless you and your ministry, as you honour God's word. 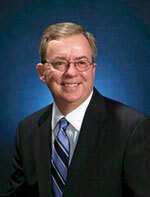 Dr. Norris E. Belcher, Jr. I am writing a note to recommend Stephen Shutt to you. I have had him speak in my own Bible Conference and found him to be one of the most informed and studious young men I have ever met. His knowledge and scholarship on the KJB is second to none. He is married to Mike and Gail Riplinger's daughter and they both present a good testimony and image for our Lord Jesus Christ. I believe if you are led to use him, he will not be a disappointment. It is a pleasure to recommend to you a fine young evangelist, Bro. Stephen Shutt. Bro. Shutt has worked diligently to study and know the history and heritage of our King James Bible. His influences have been right, his pastor is a veteran pastor and preacher, his experience in the ministry is good, and his family is a tremendous asset to his life and ministry. Bro. Shutt can teach and preach on a most vital subject - the history and preservation of God's word, the King James Bible. He can answer the critics when it comes to the inspiration and preservation of the Book. Since Satan never stops in his attacks on the word of God, Bro. Shutt's knowledge of the Bible needs to be known by our generation of preachers and teachers. Bro. Shutt's knowledge needs to be shared and known by the membership of our local churches.